Transforming a typically rustic, country chic wedding venue into a luxe modern space is no easy feat, unless you have the right designer and decor! 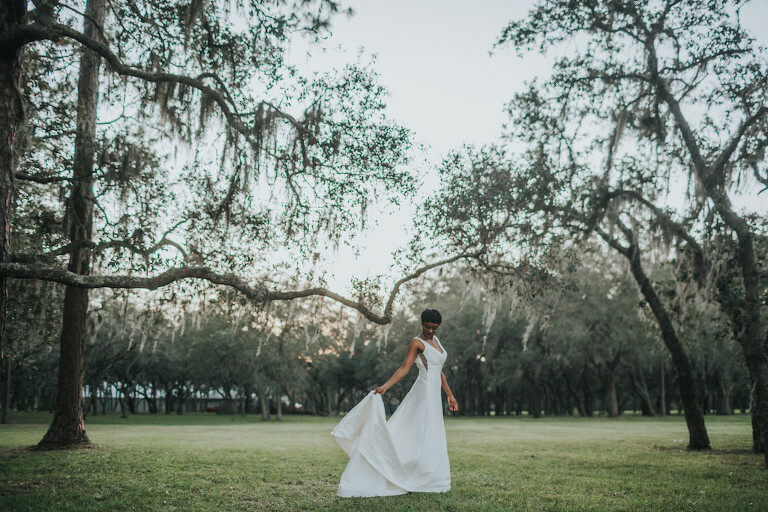 For this Tampa Bay inspired wedding styled shoot, “plansigner” (planner/designer) Staci Mandikas of UNIQUE Weddings and Events opted for city sophistication, modern style and high fashion as her inspiration. The vendor team combined chic design elements with contemporary decor rentals from Tampa Bay wedding rental company, A Chair Affair including armless ghost chairs, geometric tables and black chiavari chairs to transform the space into a luxe modern lounge. Geometric inspired table linens from Over the Top Rental Linens in a rich metallic color provided the perfect complement to the five-tiered black and gold wedding cake created by Alessi Bakery. 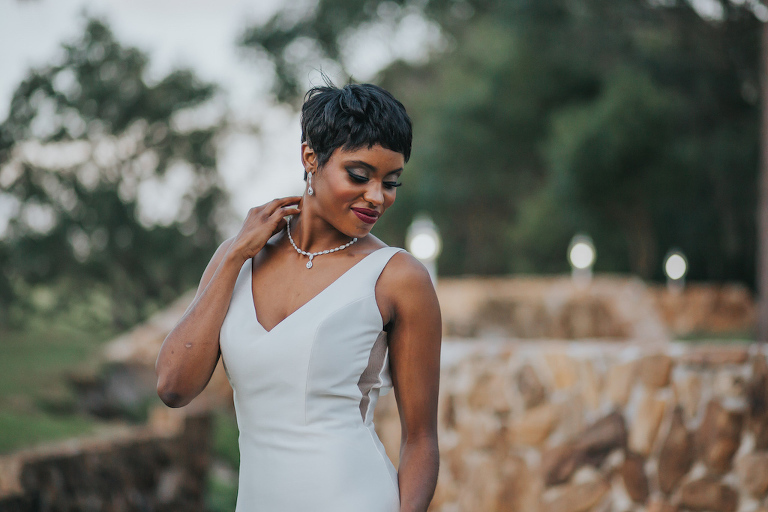 A dramatic evening makeup look with smokey eyeshadow and a bold lip was artfully applied by the Tampa Bay wedding hair and makeup team Michele Renee the Studio. A sleek a-line wedding gown with illusion side panels, followed by a geometric sequin gown showed off the brides gorgeous figure from Truly Forever Bridal. 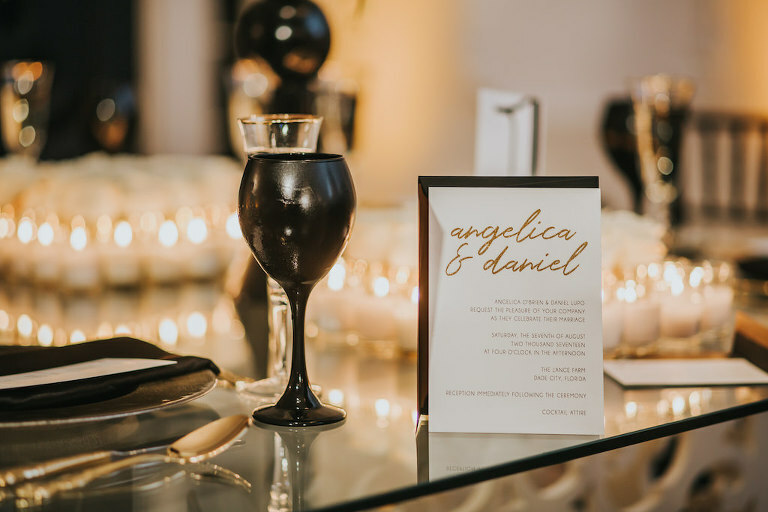 “My other favorites included the gorgeous fashion that our couple modeled, the high-back love seats for seating, the amazing tables, modern menus from URBANcoast, the bold, black wine glasses and customized dance floor that we designed,​” the plansigner added. Tampa Bay wedding videographer Imagery Wedding Films created a sultry recap of the modern celebration focusing on the couples love for each other and exquisite decor details throughout the reception set-up. While Brandi Image Photography captured every magnificent detail with an eye of glamour and beautiful lighting. I want to learn more about videography services from Imagery Weddings Films. When approached to create a design for Stonebridge at the Lange Farm, we wanted to avoid anything that was too rustic or country. We instead, wanted to create a design that showed the versatility of the venue. We thought of a woman that grew up in the country, near the location, but moved to the big city to pursue a career – working for Vogue magazine. She embraced the high style of the city and wanted to bring it to her hometown, for her wedding. To keep the look chic and sophisticated, we opted for a sleek color scheme of black, white & gold color scheme. 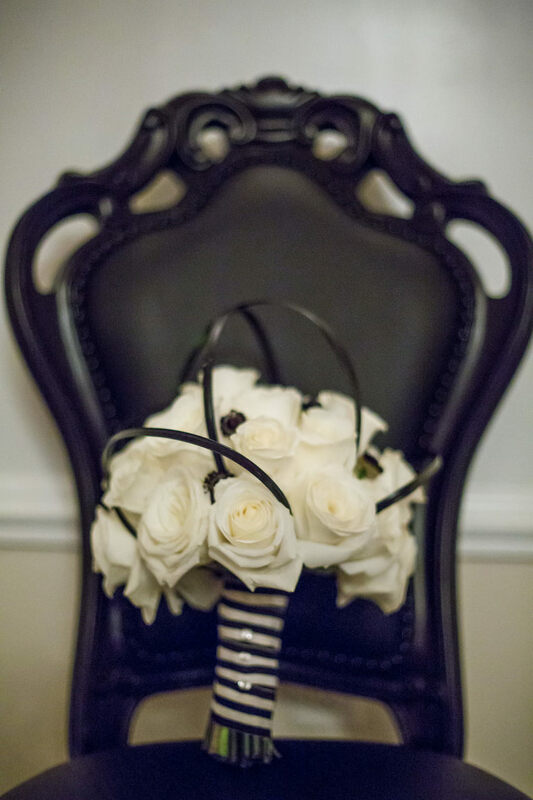 All of the flowers were kept pure white with black accents. I Want to Learn More about Brandi Image Photography.